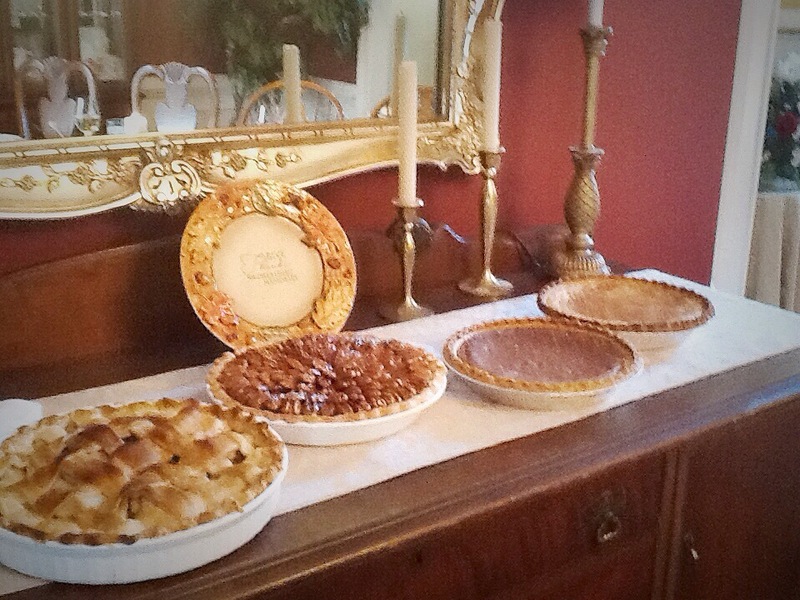 Hopefully by now you have all had enough time between reading this and eating your turkey, because I want to share with you some of the delights that were had at my parents’ home on Thursday afternoon. This year, I was given the task of pseudo heading up dinner. In other words, I planned out the meal and cooked lots of sides and pies, but my mom still made some of the basic staples. Which is a very good thing, because up until now I’ve known nothing about cooking a turkey. The exciting thing about playing such a big part in the cooking process was that I got to bring favorites I have found on various blogs throughout the years. Additionally, we got to try new delights that our mouths have been watering over! Check this goodness out. The main course was the turkey and gravy. My mom stuffed herbs, both dried and fresh, underneath the skin. She also covered the outside of the skin with olive oil and added herbs there as well. She used an oven bag to cook her turkey. I learned that apparently putting flour into the bag with the turkey and cutting slits into the bag prevents it from exploding. Fascinating! And now for the sides…. 1. Roasted Butternut Squash with Caramelized Onions, Gorgonzola and Crispy Fried Sage from Closet Cooking. I found this gem of a recipe a few years back and it delivers. 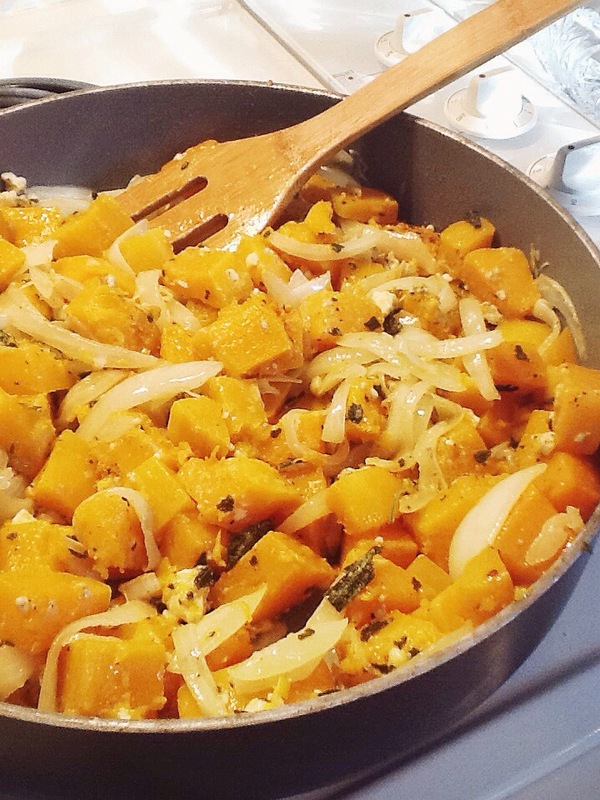 The gorgonzola adds a strong taste that blends wonderfully with the sweet and savory squash and onions. And crispy fried sage adds a terrific complementary flavor as well! 2. Spinach Casserole, a staple in my family. 3. Great Grandma’s Cornbread Dressing. I love a good stuffing or dressing but this one is hands down my favorite. I could eat this for the whole meal! 4. 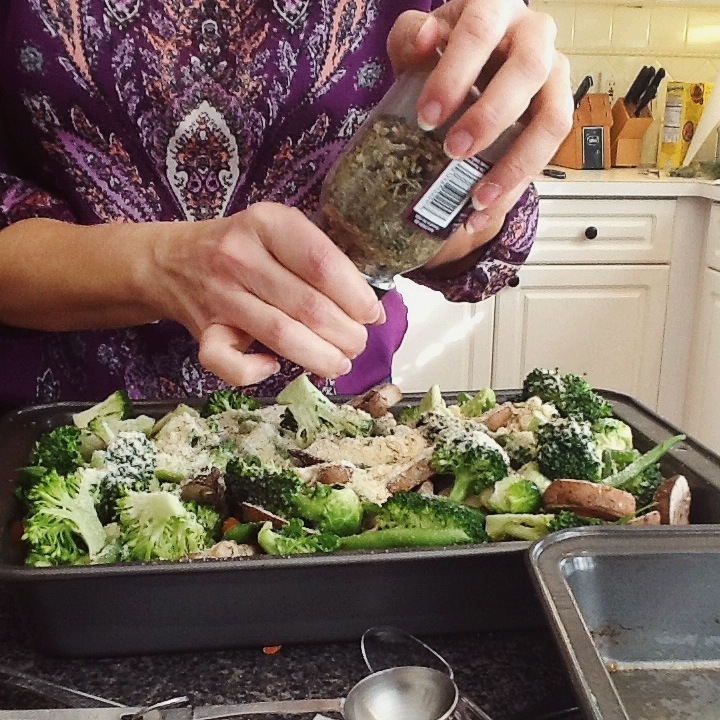 Roasted Green Vegetable Medley from Taste of Home. My mom found this recipe, and it is wonderful! Broccoli, Brussels sprouts, green bean, carrots, all covered in lemon juice, Parmesan cheese, and Italian herbs. So good! 5. This beautiful Lightened Up Sweet Potato Casserole by How Sweet It Is. Another gem I’ve held onto for a couple years, and it is so terrifically tasty that it’s hard to believe it’s lightened up! The key is using lite coconut milk in the sweet potato mixture. And the topping… oh my gosh drool. Coconut flakes, pecans, brown sugar, butter, with mini marshmallows in the middle. 6. My Grammy brought a few of her signature sides: cranberry fluff, pumpkin bread, and cranberry bread. I’m pretty sure this recipe is a pretty accurate representation of Grammy’s cranberry fluff: cranberries, pineapple, marshmallows, and cool whip – yum-o! And fun story about the cranberry bread, my Grammy makes this from the recipe in Cranberry Thanksgiving, a children’s book she introduced to me when I was in first grade. The combination of cranberries and golden raisins in this bread is a delightful merge of sun-sweet and tart. 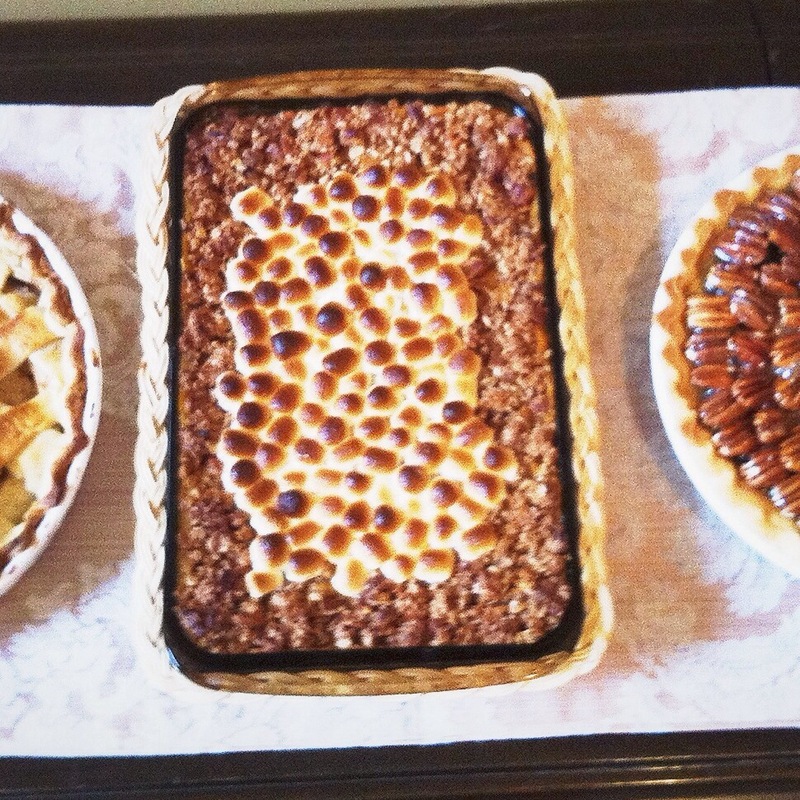 And onto one of my most favorite of things: lots and lots of pie!!! 1. My Go-To Apple Pie recipe courtesy of Betty Crocker. 2. This amazing salted caramel chocolate pecan pie from Southern Living. It is the most beautiful mix between a fudge and pecan pie. Not to mention it’s a visual showstopper! 3. And in the loveliest of traditions, my Grammy brought her fudge pie and sugar cream pie. There are just some things you can’t go wrong with! I’m almost full again just thinking of how wonderful this meal was. 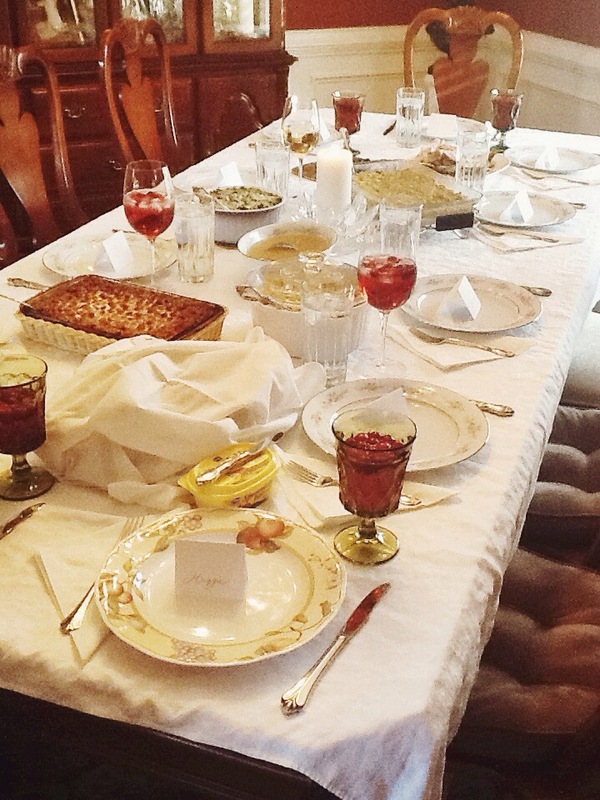 I loved getting an excuse to spend time with my family and share the kitchen with my mom. Blessings abound! Enter your email address to follow Captivated by Cooking and receive notifications of new posts by email. Happy #NationalSiblingDay to the best brothers and sisters around! Happiest birthday to sweet Maggie! It's been so fun watching you jump into the role of Aunt Mags. Thank you for loving all of us so well! You are so selfless and kind, and Molly has such a good role model to look to in you! We love you so much and hope today is amazing!